Fermilab's Accelerator Division has breathed new life into the Booster. Last month, the Fermilab Booster saw beam circulate through its 468-meter ring for the first time since the laboratory's accelerator complex shut down on April 30, 2012. It's a milestone on the road to the restart of the laboratory's accelerator complex, which is scheduled to take place this summer. "It was a big relief," said AD Operation Specialist Salah Chaurize. "After that beam went through, you know there's still a lot of work to be done, but you also know you have a good starting point." Beam's return to the Booster is an important step in ushering in a new era of exploration using high-intensity proton beams at the laboratory. 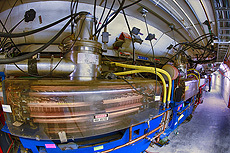 As the second of three major acceleration stages in Fermilab's accelerator complex, the Booster accepts beam from the Linac, boosts it to higher and higher energies, and then passes it on to the much larger Main Injector, which brings the beam up to even higher energies before sending it to various experimental areas. Fermilab's future scientific programs, such as MicroBooNE, Mu2e and NOvA, require far more intense particle beams than did past experiments. So engineers and technicians have spent the last nine months prepping the Booster to handle the kinds of beams needed for studies at the Intensity Frontier. That meant new equipment, substantial reconfiguration and lots of upgrades. "The accelerator is over 40 years old, so there's a good portion of it that needs to be maintained and upgraded," said Kent Triplett, Booster Group engineering physicist. "Some of the stuff was really old—you'd have to go out and kick it to make it work." AD members retooled the water piping system that cooled the Booster's 19 radio-frequency power stations, which propel the beam, and rebuilt its accelerator cavities. They also installed and configured new power amplifiers, power modulators, solid-state drivers and cabling. 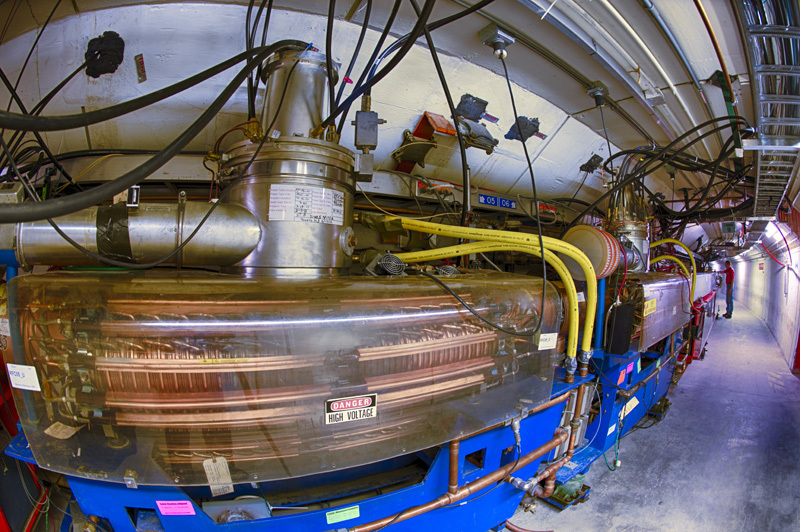 With assistance from the Accelerator Physics Center, they also developed the instrumentation needed to operate intense beams. One new crucial component was the notched beam absorber, designed by AD's Vladimir Sidorov and built by PPD technicians Wojciech Blaszynski and Jerry Judd. The absorber removes sections of the beam in a controlled way, allowing the creation of a gap in the circular beam and helping reduce radiation in the tunnel at the time beam is extracted. After overhauling the Booster configuration, the Booster Group performed final checkouts before turning on beam. Engineers and technicians thoroughly swept the accelerator for potential problems, checking every cable and flipping every switch. "Only then did we feel confident enough to say, 'Let's try beam,'" Chaurize said. When they pushed the button, it went off without a hitch. "It was remarkable that the first pulse of beam that came into Booster circulated," Triplett said. "We were really fortunate and glad it happened on the first try." Now that Booster beam is up and circulating, the Accelerator Division will spend the next several weeks gradually increasing its intensity and performing beam studies. Soon enough, it will be ready for delivery to the Main Injector. Todd Sullivan, who led the Booster upgrade effort, expressed his appreciation for the scores of employees who helped reach this milestone. "This was a tremendous team effort that required many long days and hard work by the Proton Source Department and the support departments," Sullivan said. "It is wonderful to have brought the Booster back to life and to be running beam again." In a long-awaited leap forward for open access, the US government said today that publications from taxpayer-funded research should be made free to read after a year's delay—expanding a policy which until now has only applied to biomedical science. 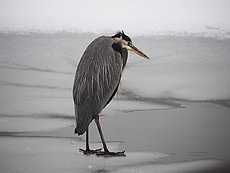 In a memo, John Holdren, the director of the White House's Office of Science and Technology Policy (OSTP), told federal agencies to prepare plans to make their research results free to read within 12 months after publication. U.S. Secretary of Energy Steven Chu will return to Stanford this spring as a faculty member following the conclusion of his four years in office. Chu's appointment will mark his second stint at the University, where he had previously worked as a professor of physics and applied physics from 1987 to 2008. Sequestration has been all over the news in recent weeks. Automatic cuts to federal government spending will take effect on Friday if Congress does not take action before then. The cuts have the potential to do much harm across all sectors of our society, from fire protection to air traffic control and from preschools to scientific research. Like many of you, I am very concerned about the effect these cuts will have on our laboratory. 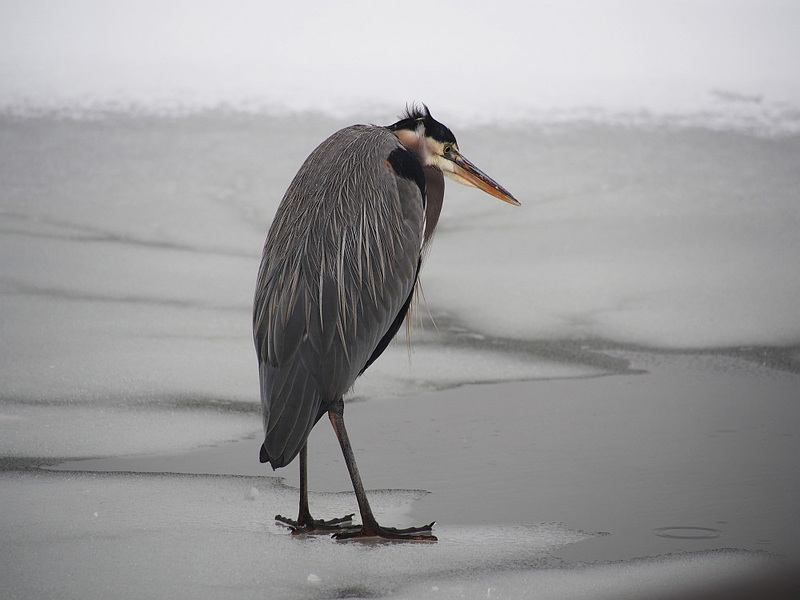 I wish that I were able to detail exactly what will happen at Fermilab; however, as the federal government is operating under a temporary budget that expires on March 27, it is not clear to what budget the cuts will be applied. That leaves a situation so murky that no one is able to say for certain what our lab's budget will be for the rest of this year. What I can tell you is that we are doing everything we can to prepare for the possibility of sequestration. The laboratory took many steps in 2012 to adjust to a lower budget for the 2013 fiscal year that began in October. On top of these difficult actions, we have been deliberately spending at a low rate since October. These steps have given us some flexibility to deal with further cuts that may be applied as a result of sequestration. We are now planning for possible financial scenarios, focusing on actions that minimize the impact on our staff and our science. As we wait for Congress to resolve these issues, we have to continue to do what we always do in the face of uncertain budgets: stay focused on our work. As always, I will keep you updated as events unfold. Whittaker Construction Company, contracted to construct the Liquid-Argon Test Facility, and their steel erection subcontractor, K&K Ironwork, have completed the installation of the framing of the work platform for the MicroBooNE experiment, the first tenant of the LArTF. This picture shows, on the left, platforms at elevation 746 feet, which is ground level. 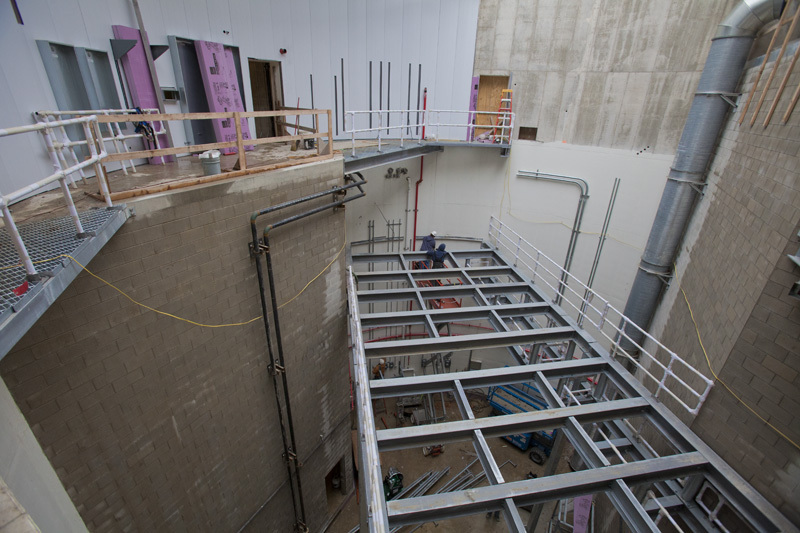 The platform in the center of the picture is at elevation 733 feet and will provide access to the top of the MicroBooNE liquid-argon cryostat. It will also be the location of some of the experiment's front-end electronics. Through the framework of the platform one can see the floor of the cylinder at elevation 706 feet. At that level, the MicroBooNE experiment will install the refrigeration plant that will cool the liquid argon. 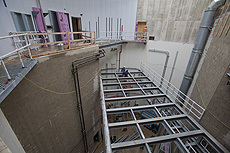 The platform at 733 feet is designed to be removable in two pieces to permit the installation of the cryostat tank below it, after which the platform will be re-installed. Also in progress in the interior of the picture are insulation panel installation, electrical panel box installation, electrical conduit installation, chilled-water piping installation, HVAC duct installation and fire suppression piping installation.